A commonly encountered problem among website owners/ admins is a particular type of spam called Referral Spam. Recently, new Referral Spam software named O-o-8-o-o.com has been reported and we are here to provide our readers with several useful tips and guidelines on how to deal with it if your website has been targeted by O-o-8-o-o.com. Before we get any further, we first need to introduce you to this particular spam method. The way O-o-8-o-o.com and other similar forms of spam work is by generating fake visits to your website. 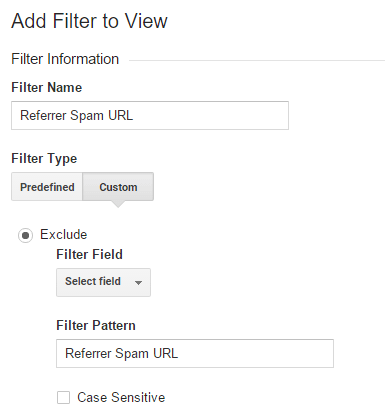 Your Google Analytics rating won’t be affected by the Referral spam, but due to the seemingly increased number of visits, you might think that you are getting more traffic than you actually are. Referral spam is used by hackers and internet crooks to boost their own site’s visits count at the expense of other website owners. The good news is that this particular type of spam is usually not harmful or dangerous to your PC or internet security. However, it can prevent you from being able to accurately determine the real amount of traffic that your site receives. This is particularly problematic for people who use their site as a form of income or for admins of big websites that require a lot of meticulous management. It might seem kind of odd for hackers to spam visits to your site. You might be wondering about how this actually helps them. Well, every time your site gets visited, you can see the URL of the visitor. Many website admins, especially those who are keeping track of their audience in order to improve their site accordingly, tend to follow those URL addresses. This is where the intention behind the Referral Spam becomes clear. Once you follow the hacker’s URL, you will be effectively generating views for their website, thus pushing them upwards in the Google Analytics rating ladder. It might not seem like a big deal but when it comes to website traffic, every visit and every click matter. Also, the spam is constant and aimed at a huge number of websites, so on a larger scale it actually proves to be quite effective. Currently, there are two main types of Referral Spam – the classic one that uses spam bots to generate its visits (also known as crawler spam) and Ghost spam. As of 2014, Google pretty much dealt with the regular type of Referral spam. Hackers realized that this method was no longer effective, so they needed to adopt a different approach. That’s where Ghost spam came into play. Instead of using bots that get easily detected and stopped by Google, it directly meddles with your website’s statistics making it seem as if you’re getting more visits than you actually do in reality. O-o-8-o-o.com, too, is a form of Ghost spam. In fact, nowadays it’s quite rare for you to encounter crawler spam, since it is nowhere near as effective as the Ghost type. So far, Google has been unable to find an effective large-scale solution for this type of spam. However, we can show you how you can stop it by yourself in our removal guide beneath the final paragraph of the current article. Therefore, after you finish reading this, make sure to give it a try if you are currently having problems with O-o-8-o-o.com. Here, we will give you several very important guidelines that you must adhere to in order to deal with Referral Spam and avoid it in the future. If you have been targeted by O-o-8-o-o.com or some other Ghost Spam, do not use Google’s exclusion list. This method is only useful if you are dealing with crawler spam, since it actually visits your site. If you add ghost spam to the exclusions list, once Google checks the new entry and does not detect any actual spam visits coming from that URL (since none are actually being made), the address will be regarded as legit and the problem would only worsen. Make sure that your website has a filtering tool, since this is one of the best methods to avoid unwanted spam. It’s a good idea to invest a couple of bucks for a high quality filter, especially if you are planning on expanding your website and using it for profit purposes. Choosing a good and reliable hosting company is also very important and not only in terms of avoiding spam but also in terms of many other aspects. Thinking ahead of time is crucial when you are trying to moderate and manage a website. Note that oftentimes good hosting companies themselves provide their customers with online filtering tools and other forms of online protection and security. Therefore, you should be very mindful of what hosting services you choose. 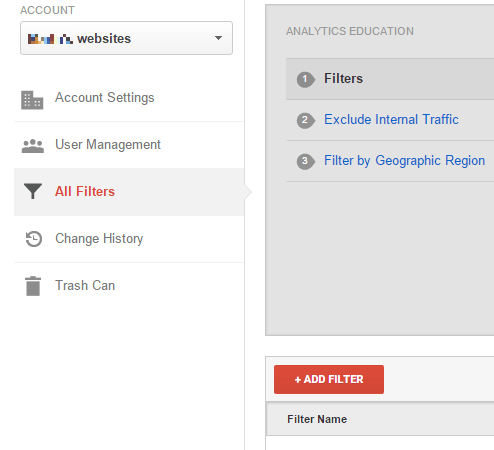 STEP 2: Next, click New Filter and add O-o-8-o-o.com in the Filter Name value. STEP 3. Select the Custom Filter Type. In the Filter Field —> Campaign Source. In the Filter Pattern text box, add O-o-8-o-o.com and click the Save button at the bottom of the webpage.